New Mini Mk1 (R53) Cooper S Full System (including Hi-Flow Sports Cat) with 76 2mm Special tailpipe (SSXM009) - Milltek Exhaust by Pumaspeed. Milltek Exhaust by Pumaspeed have a specialist distribution team that can dispatch the Full System (including Hi-Flow Sports Cat) with 76 2mm Special tailpipe (SSXM009) to any destination worldwide. 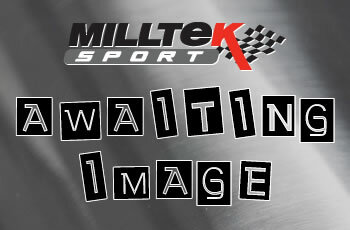 Milltek Exhaust by Pumaspeed have a specialist trade distribution team that service many of the Motor trade specialists throughout the UK, the EU and the Rest of the World.